Jeep Wrangler at Tint Magic Window Tinting Coral Springs, Fl 33076. 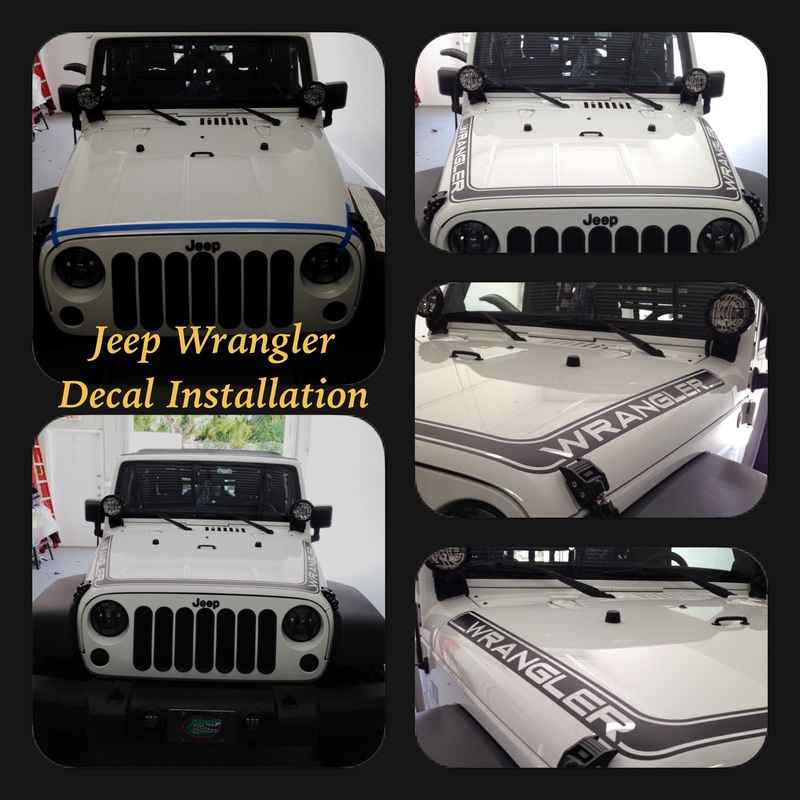 We have install custom decals over Jeep Wrangler capot and looks beautifull! f you’re looking for the most serious of off-roading vehicles available, look no further than the legendary Wrangler. It takes all of the right features—four-wheel drive, ample ground clearance, and a nimble suspension—and puts them all in one go-anywhere package. A 285-hp 3.6-liter V-6 is the sole engine; it teams up with either a six-speed manual or a five-speed automatic transmission. For the ultimate Wrangler, check out the Rubicon—it’s as tough as the legendary trail that inspired it. Ford and Willys (say “will-is” not “will-eez”) built the original jeeps with which the Greatest Generation liberated Europe and the Pacific. Since 1950, when Willys finally won the right to turn the generic jeep nickname into the trademarked, Jeep Brand there have been countless variations on the classic. And make no mistake, this is the classic: The current body-on-frame design is a glimpse into auto production of the past, and the twin live axles remain. Those of the new Willys edition, a Dana 30 in the front and a Dana 44 in the rear, put torque from the 3.6-liter V-6 to the road with the haste of a freight train. Recirculating-ball steering returns the feel and consistency of rice pudding, and big mud tires don’t do it any favors on concrete, either.